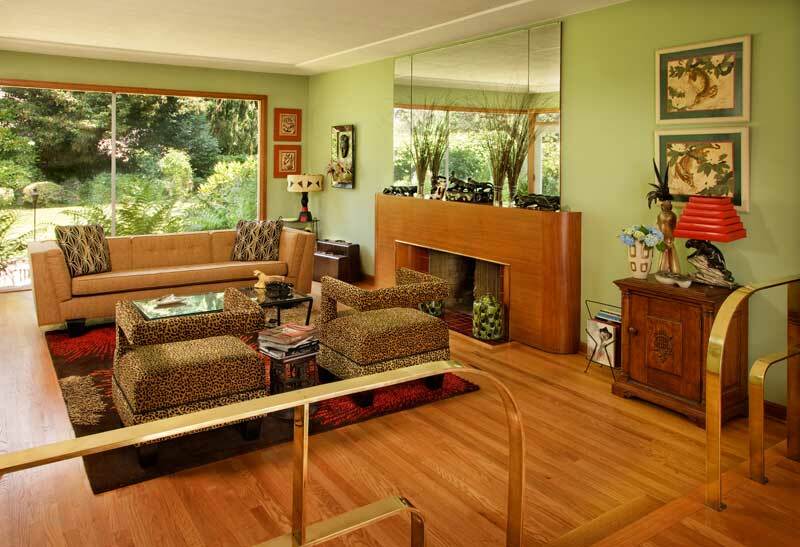 See inside a 1948 Mid-Century Ranch in Portland. The sunken living room is trimmed in nautical-style railings, rounded like the Art Deco fireplace surround. The air force was about to reassign Bobby Brom from the Pentagon to Portland, so his wife, singer Marti Brom, flew out in search of a new home. 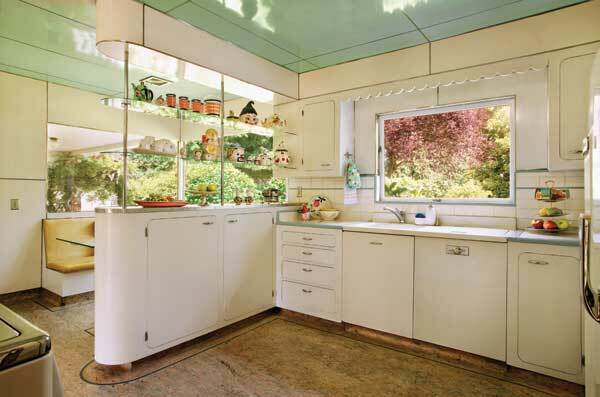 She left unimpressed with the houses she’d seen—only to discover, online, intriguing interior photos of a 1948 Portland house. 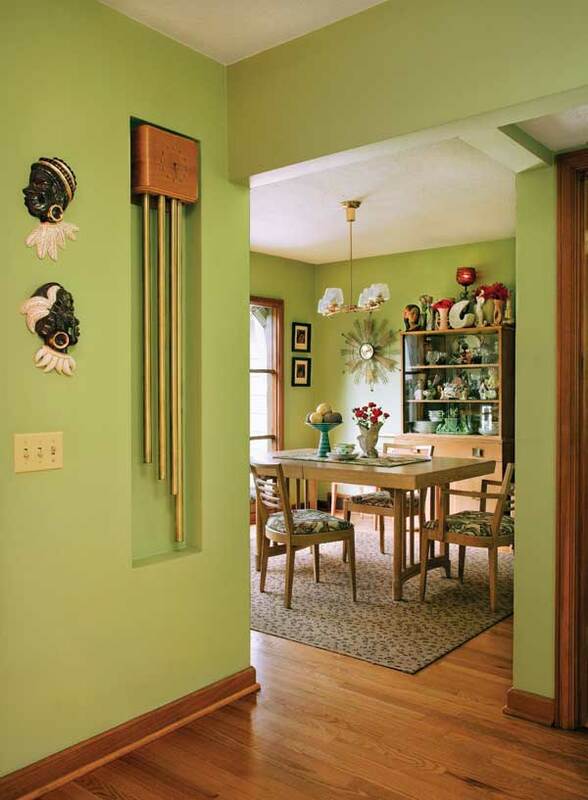 Beyond the doorbell in the foyer is the dining room, with its 1940s lime-green walls and blonde furniture. The couple moved, renting in Oregon City as they continued their search. Six months went by. Ten minutes after Bobby bid on a place in Mt. Tabor, his agent called to ask if they were still interested in the 1948 house. The older couple who’d purchased it had not moved in, having decided the yard would need too much upkeep. The Broms bought the house in January 2011. Bobby’s research in county records, military archives, and interviews with neighbors turned up more clues. The first owner, John Willis Rathkey [1889–1961], had been an officer in the Navy Medical Corps. His wife, Helen, continued to live in the house with her sister, Gertrude Eaton, until 1986 and 1997, respectively. “Rathkey was a former naval officer and a doctor, which explained how he could afford the high-end customization of design,” Bobby says. In March, preservation and design consultant Karla Pearlstein knocked at the Broms’ door to ask if they’d put their house on the Architectural Heritage Center Kitchen Tour in April. Karla had also seen its kitchen online. 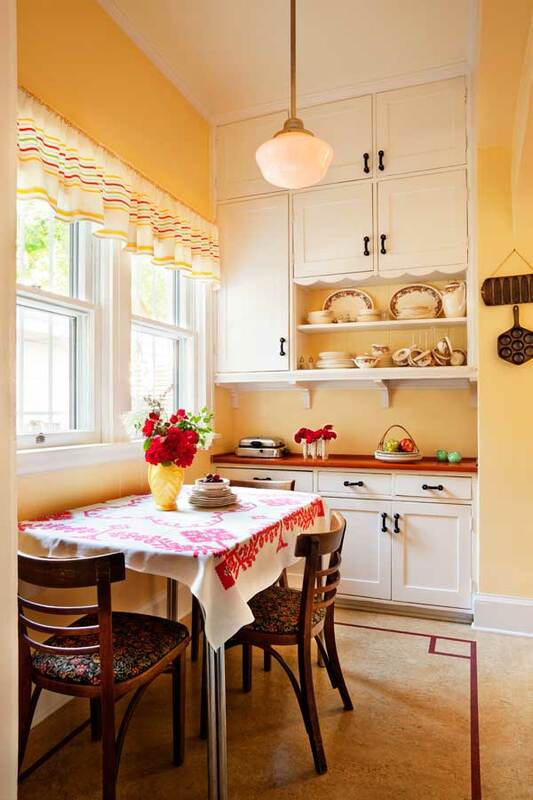 The sleek 1940s kitchen is remarkably intact, with a curved leather banquette. 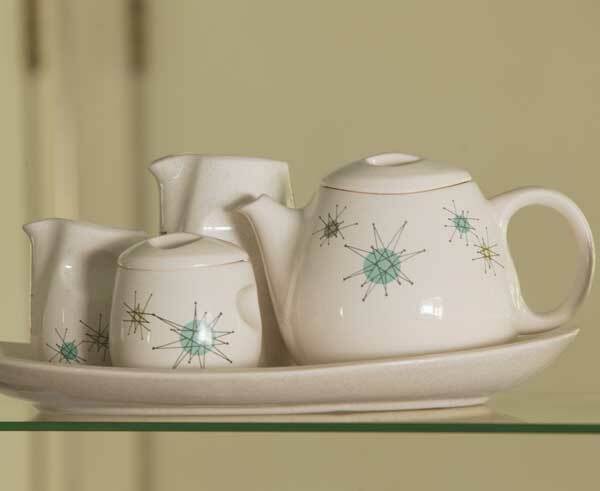 Vintage pieces include the Sunbeam chrome coffee brewer and streamlined vase. Turning to Overstock.com, where she’d recently purchased a rug and two leopard-print chairs, Marti found a sofa, which arrived two days before the event. Tour attendees marveled at her snappy décor. Not to mention the intact bathrooms. But how, they wondered, did the Broms come to have so many vintage furnishings? 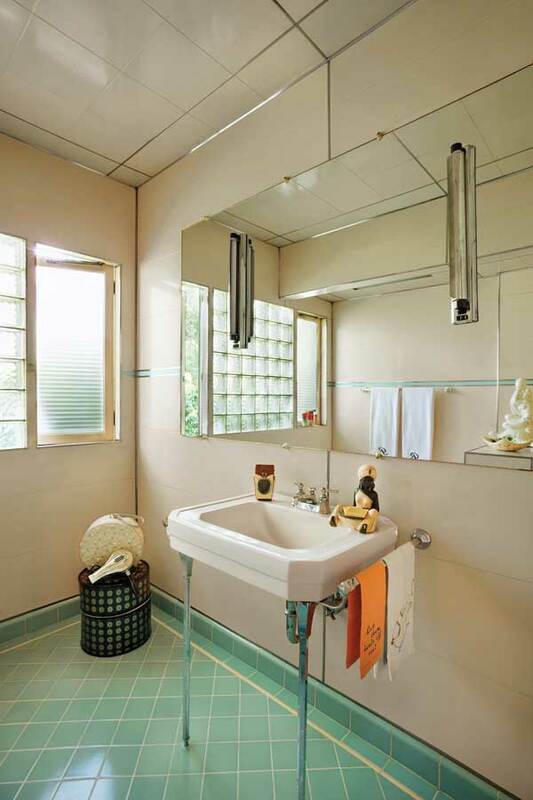 The guest bathroom is all original: large mirror with lighted sconces, glass block flanked by a casement window, fixtures, Marlite walls, and turquoise tiles. The Broms are only the third owners of the house. Second owner Tonya Shrum “was obsessed,” says Marti. 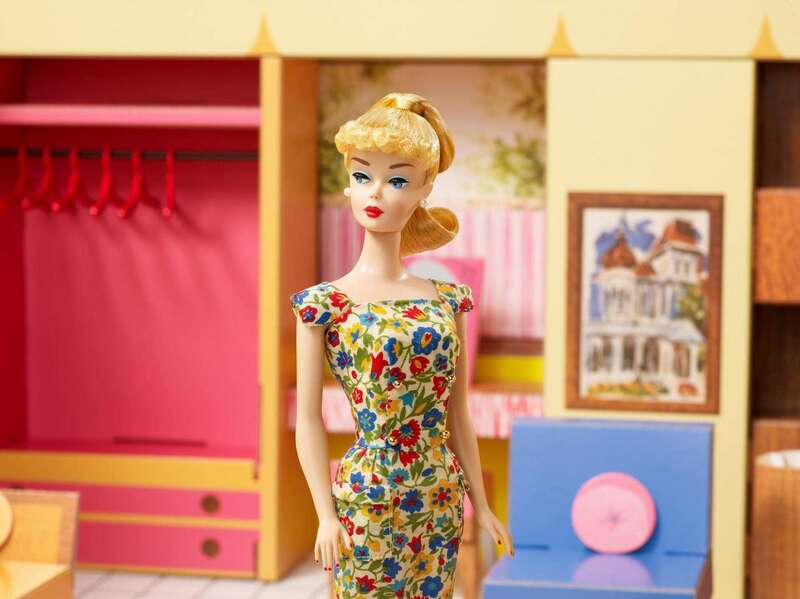 “She located a 1948 GE refrigerator to match the 1948 GE appliances still here.” Tonya pulled up carpeting and coaxed the gardens back to life, hacking back rhododendrons to reveal the front. Marti takes joy in giving uncherished objects new life. When the niece of Dorothy Shea, a popular chanteuse from the 1940s, discovered Marti’s interest, she loaned her one of Dorothy’s dresses for a performance, and told her about a family estate sale upcoming in Denver. Marti hopped on a plane, and found more items to dress the 1948 ranch. 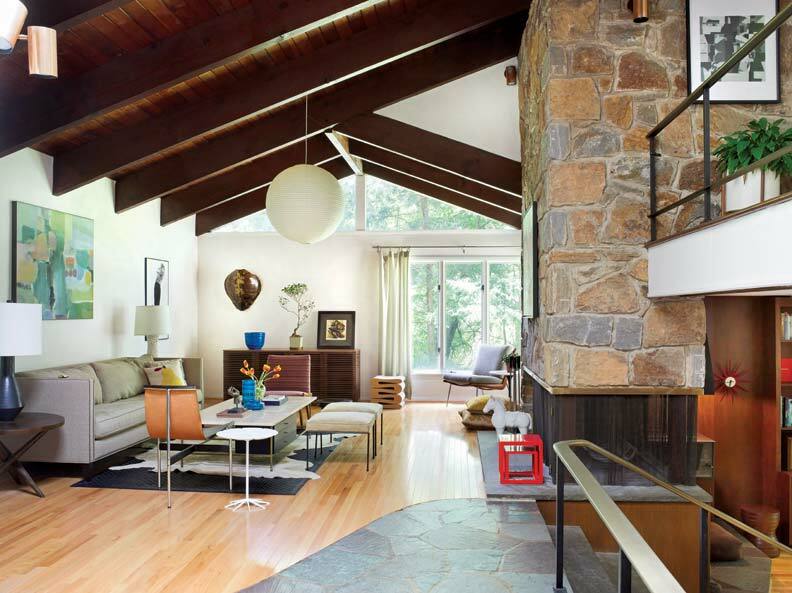 A predilection for Mid-century Modern leads to the perfect house.